Take a Book and Learn! With this fun little book, we hit on geography by pulling out the globe and talking about each of the places mentioned. We discussed transportation options. There are a lot of ways to get around in this book! We talked about rhyme scheme. We talked about predictions. There was a very fun opportunity for a prediction that the book’s wording on caught her by surprise and made her laugh! There are, though, a lot of opportunities for predicting the story line in the book. 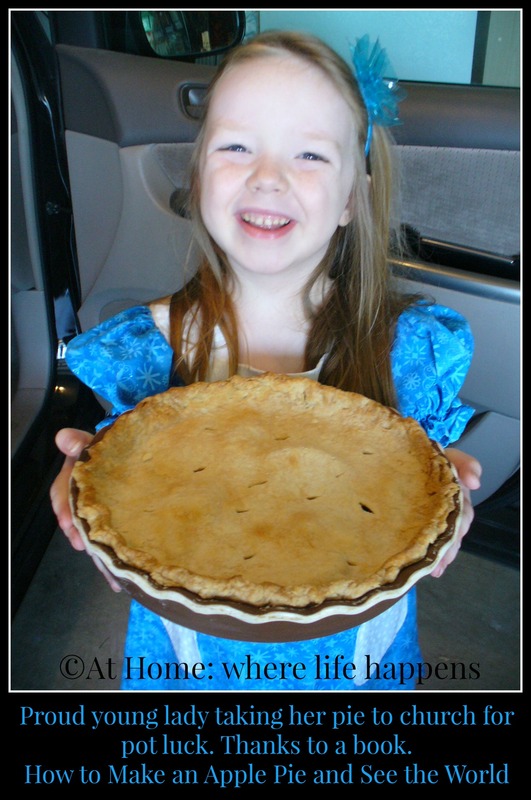 And we ended with her begging to make an apple pie. So we did. 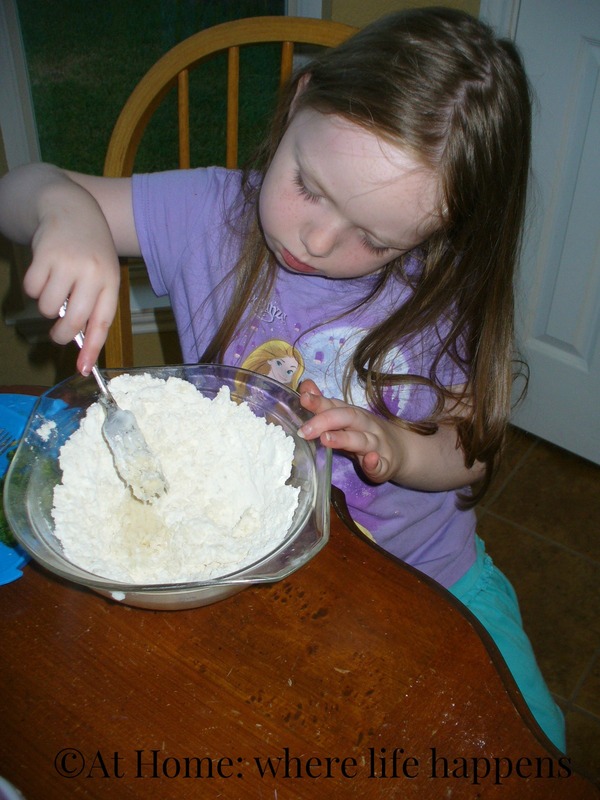 Due to food allergies, we did not use the recipe in the book. (Also, we needed to go to the store so we didn’t have all the ingredients.) So, we substituted and she was just as happy with it. 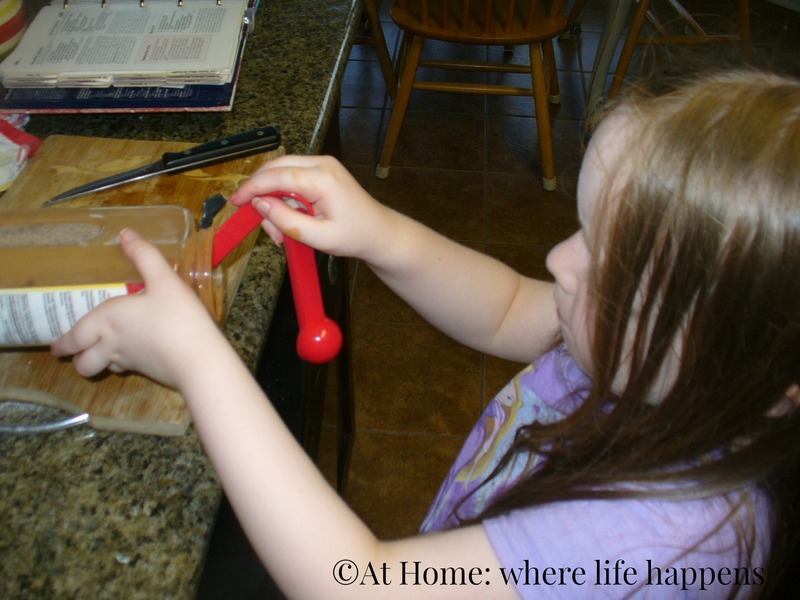 This opened up a lot of practical learning in the kitchen, from measuring and reading a recipe to safety with a knife and the oven. She was so proud of herself. 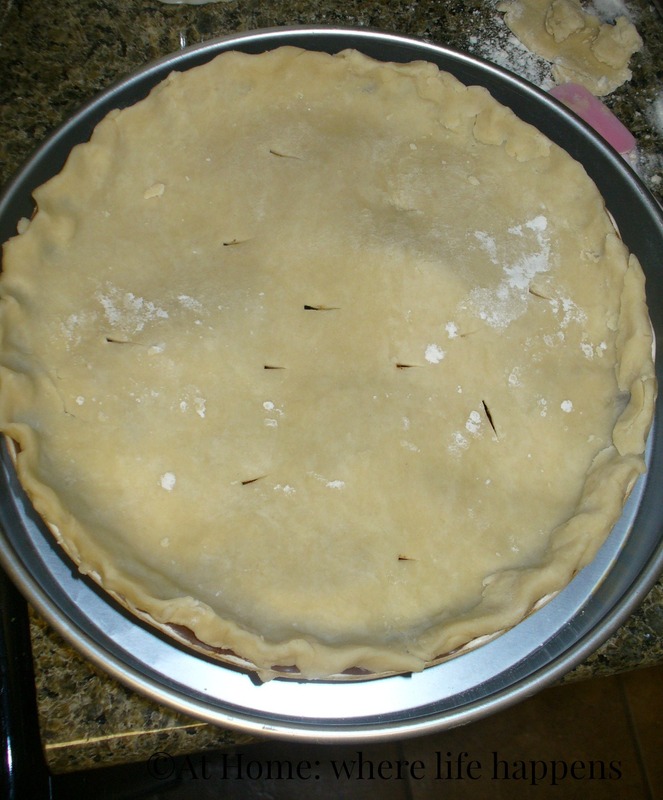 She took the apple pie to a pot luck at church and it was eaten all up. She got lots of compliments on it. So, take your child’s favorite book of today and pick up on a theme or two in it. There is so much learning to be done with hardly any effort at all. 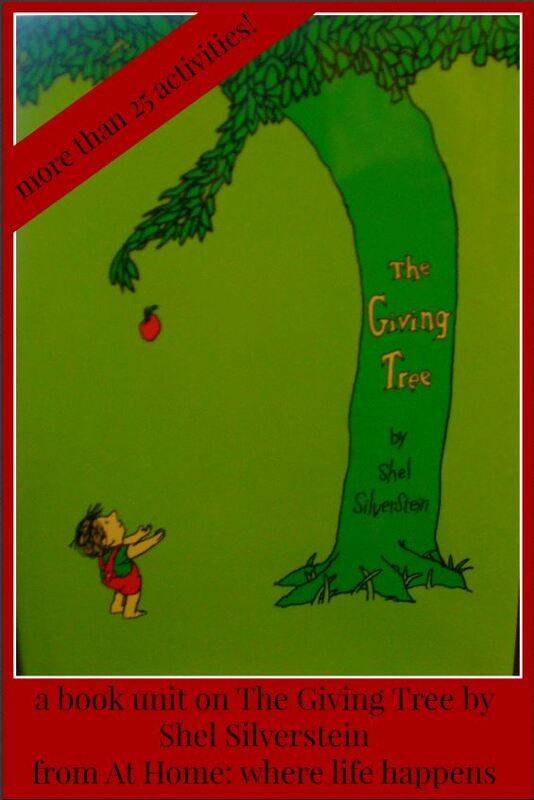 We have been doing a unit on The Giving Tree by Shel Silverstein. I have created the unit and will share that with you after we have finished and I have refined a couple of ideas that I wrote down. We have had a lot of fun and learning. 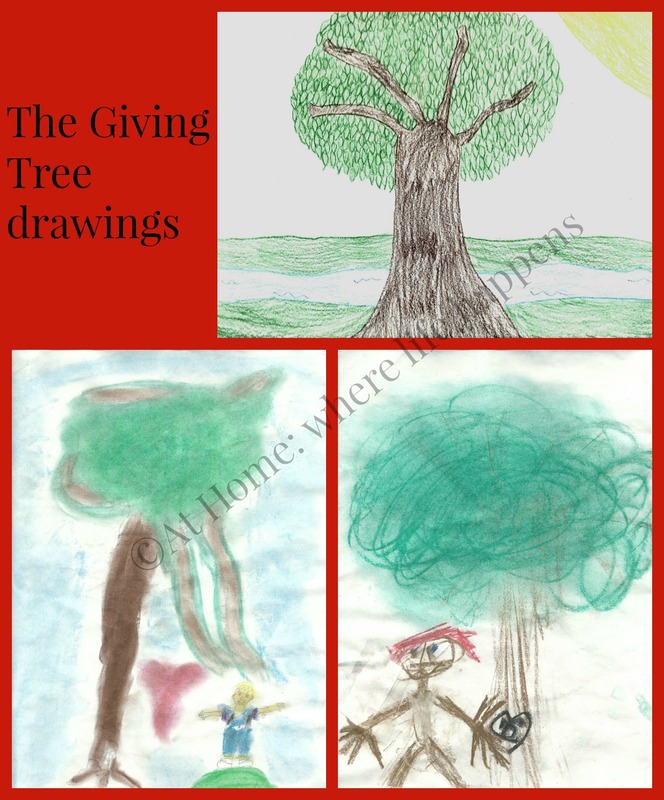 One of our projects was an art tree. We have talked about the seasons – winter, spring, summer, and fall/autumn. 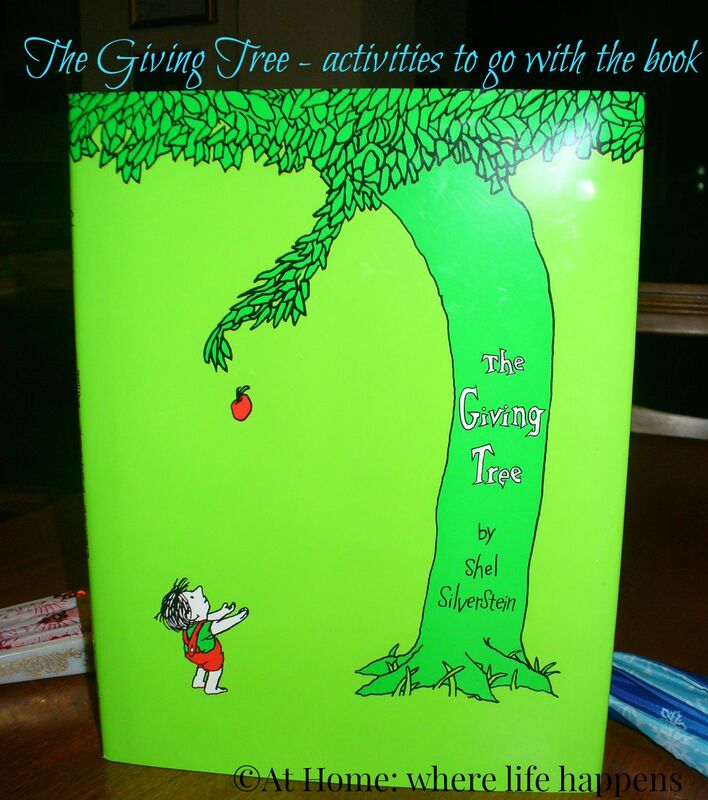 In The Giving Tree, the tree is an apple tree so we discussed what each season of an apple tree would resemble. 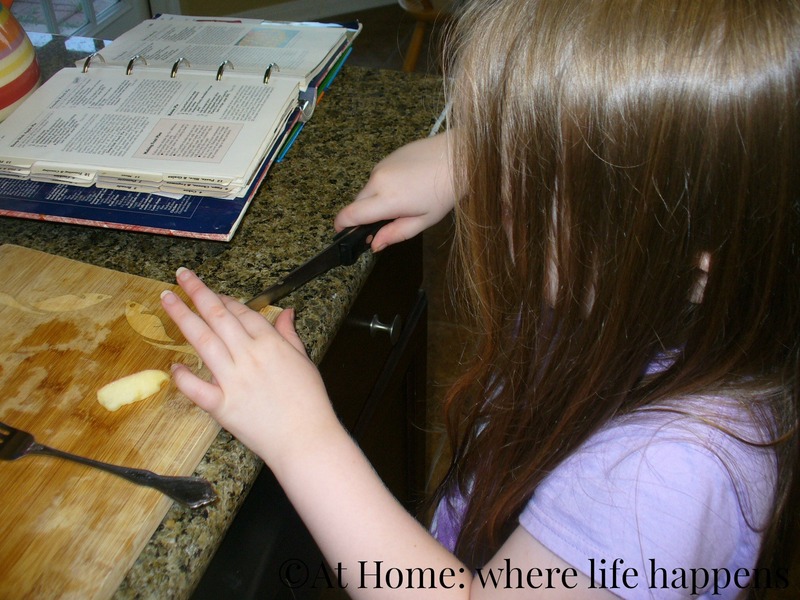 Then, each of the girls and myself took a season and created a piece of an apple tree for that season. 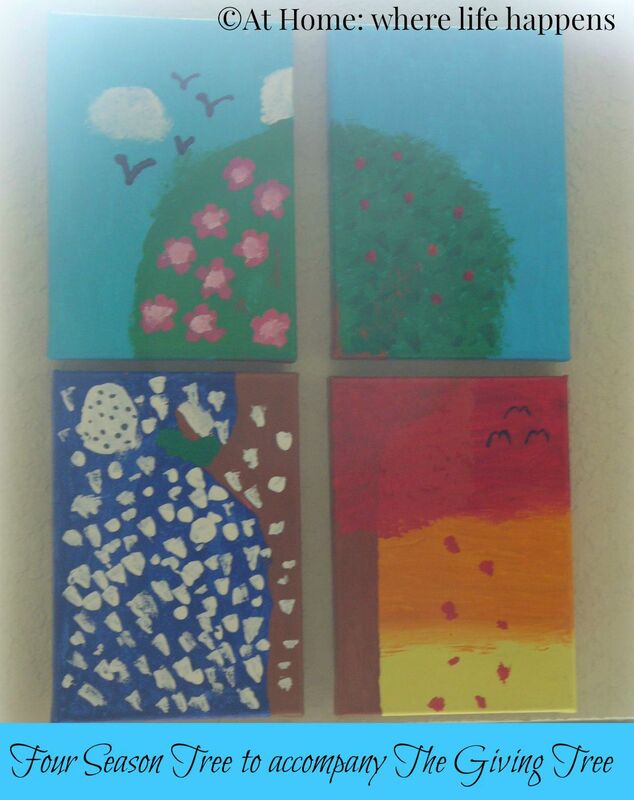 When we were all completed, we had a complete tree that depicted all four seasons. Our canvases were approximately 5″x7″. We got them at Michael’s with a coupon and teacher’s discount. 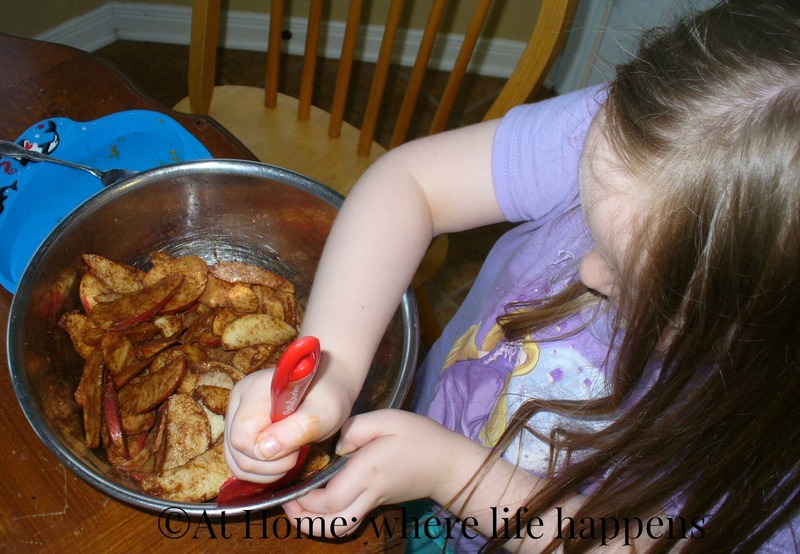 (See my post on teacher discounts for more places where you can get a discount.) I think it was about $6 for them. They were already primed and we had acrylic paints at home. We painted them in layers, letting each layer dry completely in between. We then finished them with Mod Podge to protect them and make them easier to clean off from the dust that will undoubtedly gather over time. I wish I could take credit for this idea but I can’t. I don’t know who came up with it but I had seen it a while back on Pinterest and knew it would be perfect for something. This was that thing. It fit our study perfect. The girls have loved having them up. It has been about 24 hours since they went up and I have heard a bundle of comments. This was a success! I loved the book The Rag Coat. We didn’t spend nearly the time with it that I wanted to. Things just worked out that way. The good part of that is we will be able to revisit it and do so much more with it than we did. I had planned it for the beginning of January, when it would somewhat fit the weather. With all that happened, we ended up stranded by weather for a bit and then At Home Dad did the teaching for about a week so this book ended up by the wayside. We did read it but we didn’t manage to get to many of the activities that I am going to share. These are the plans that I had made for the book. Hopefully, you can get some use out of the plans. When we get back to the book, hopefully I will keep track and share what we end up doing with you. As always, I had planned to use the Five In A Row guide for some of the activities. Geography: We were going to place the icon circle at the Appalachian Mountains. We were going to talk about how the mountains are different in the eastern and western US, as well as a discussion about what makes mountains, how they are formed, what they are made of, and more. Geography: We were going to work some more on map reading with a US map. I had planned to add a world map and work on finding mountain ranges from around the world. I also planned to pull out a topographical map to discuss elevation changes and see that in relation to the mountain ranges we identify. I was going to create a compass challenge, as well, to help the girls learn to use and navigate with a compass. History/Culture: We had planned to study the culture of the Appalachian Mountains. The culture is quite different than what the girls have grown up around, especially when we dig back in history. We were going to take a look at the 1930 and what the Great Depression was like, what caused it, how it affected people in the US. 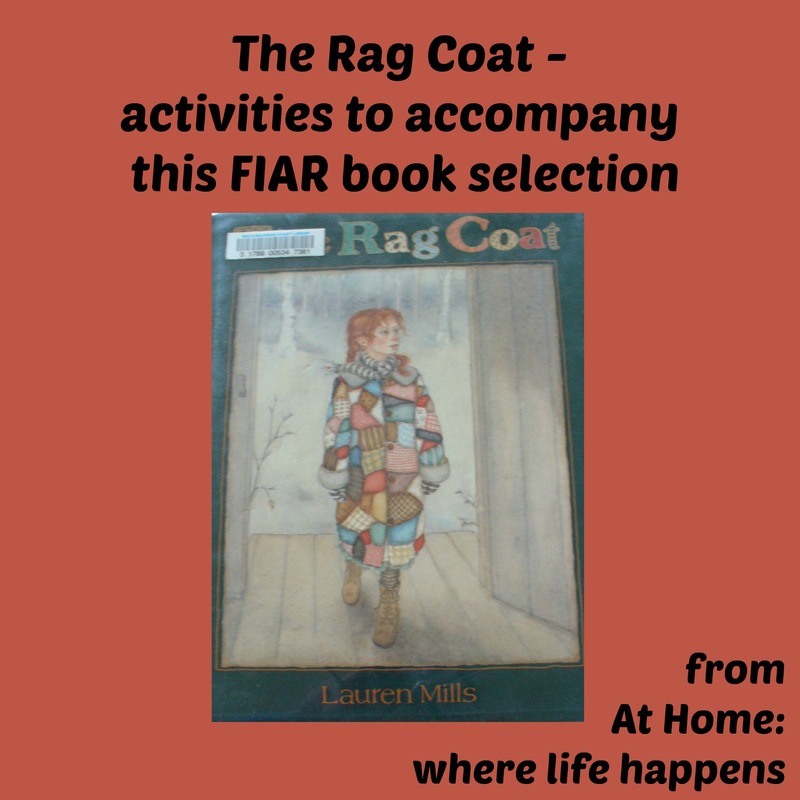 We were planning to look at the various relationships shown in the Rag Coat and how those change and develop in the story. We were also going to speculate about how those relationships were affected by the culture in which they lived and how they might be different if we changed some of the variables in their lives. History: Coal mining had a large impact on the Appalachian Mountains and that area of the country. We were going to study coal mining and what life was like in a coal mining town. We were going to study the jobs related to coal mining and what it did to family structures, communities, and friendships. Art: We planned to take a deep look at quilting and sewing. Quilting is such an art form and we generally have a local quilt show in January, so we had planned to visit that. We also have some ladies at church that make a quilt for each of the graduating seniors so I had planned to ask one or more of them to discuss quilting, decision making, color scheme, fabric choices, etc. with the giggly girls. I had planned to have the girls make a 9 patch quilt of their own for one of their dolls. I had also planned to have the girls design a quilt on paper and then cut it into a puzzle. Art: We were going to take a look at color palettes, especially warm vs. cool. The book shows a warm color palette so we were going to create a picture using chalk pastels in a warm color palette. Art: We were going to look at viewpoint and size. Each of these has a huge impact on the art of quilting so we were going to visit an art museum that had quilts on display that were a pictures (waterfalls, houses, etc). We were going to use those to discuss the viewpoint and size choices the artist made. Science: We planned to study coal. Its formation, uses, and chemical makeup were all on the books to study. We planned to study its extraction, as well. 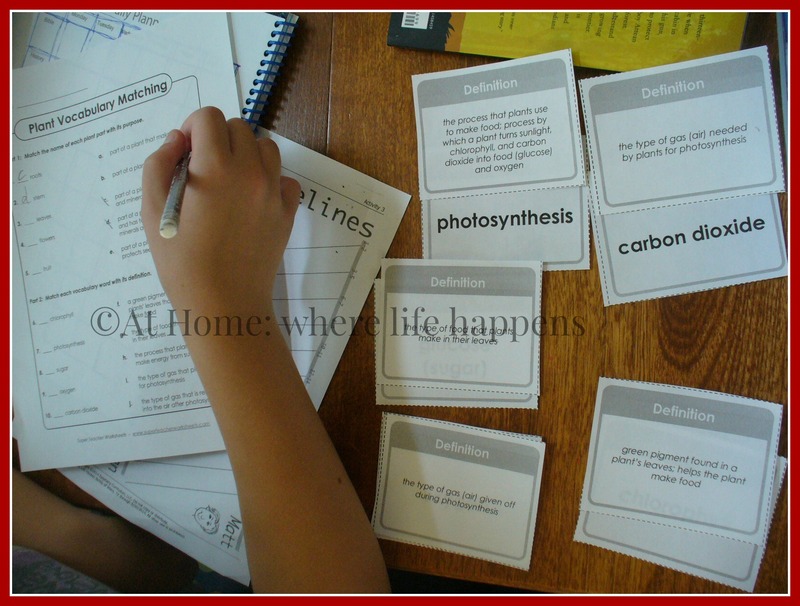 Science: We had planned to study textiles and fabrics. We were going to look at cotton and wool. We have a friend who was going to let us see her shear a sheep but that didn’t work out. I have some wool from when I was younger and we were going to look at it under a microscope and study the fibers. We were going to study the process of making a fiber into a textile or fabric that can be used to create clothing with. We were going to take a look at the process of picking cotton and use a memory from my great-grandmother (I was hoping to be able to play the recording of her remembering her youth cotton-picking in Texas.). We were also planning to take a look at the cotton-gin and Eli Whitney. Literature Connections: Other books I had around for us to look at and discuss included The Patchwork Quilt, Foxfire, Christy, Ballet for Martha, The Keeping Quilt, Joseph Had a Little Overcoat, The Quilt, and Mandie. These run the gamut of reading levels, including some chapter books for oldest. Music: Listen to Appalachian Spring by Aaron Copeland. This piece of ballet music is beautiful and will capture the imagination of children. You could use it in conjunction with the book Ballet for Martha and YouTube has some videos of some of the early ballet to go with this piece. Other options for music would include a study of banjos and/or bluegrass music. Music: There are many beautiful folk songs that originated in the Appalachians, such as “Cumberland Gap,” “Ida Red,” “Shady Grove,” and “Paw Paw Patch.” There are lots and lots of songs that have Appalachian roots and a large number of them having singing games to go along with them. Music/Biography: Jean Ritchie is one of the foremost authorities on authentic Appalachian music. She has a beautiful voice and is a talented instrument player. Studying the lap dulcimer and Jean Ritchie would provide a rich, unique study. While writing this, I saw that Jean Ritchie passed away at the beginning of June. Such an amazing person will be missed. That is the gist of what was planned. Unfortunately, very little of it got done so I am looking forward to tackling it again at some point. There is a lot of rich learning to be done when you dig into books about Appalachia. Wintertime is beautiful. There are so many beautiful things about it! I am sure there are many of you that might choose to disagree right about now since I know you are buried under snow many feet deep and your temperatures are rather cold. Overall, though, winter will show us many beautiful things. We have chosen to use January and February to go through some of the Five In A Row stories that involve snow and cold. That is about the only time period in which there is a tiny little chance of us getting some of the white fluffy stuff. 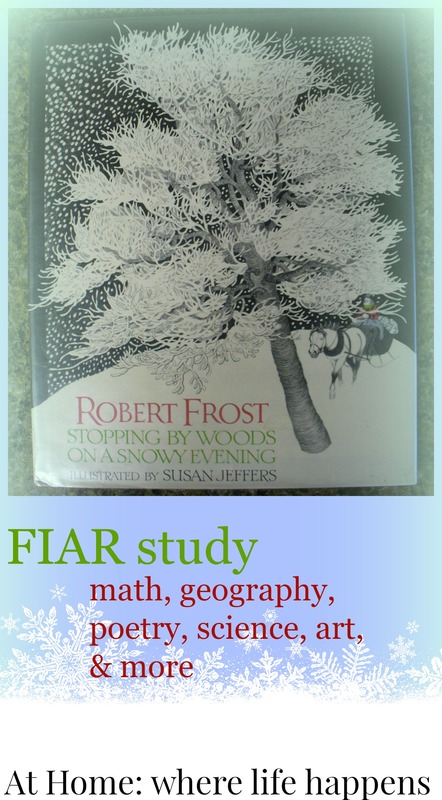 We took about a week and a half and went through Robert Frost’s Stopping By Woods On A Snowy Evening, illustrated by Susan Jeffers. The illustrations in this version are beautiful and provide a lot of opportunity for discussion. There are other lovely versions of illustrations out there but this one is extremely high quality and we got a lot of joy out of this. We did follow a lot of the material from the Five In A Row, volume 1 manual. I also added a lot to it. Math: We talked about pattern, which flows naturally out of the discussion in poetry on rhyme scheme. 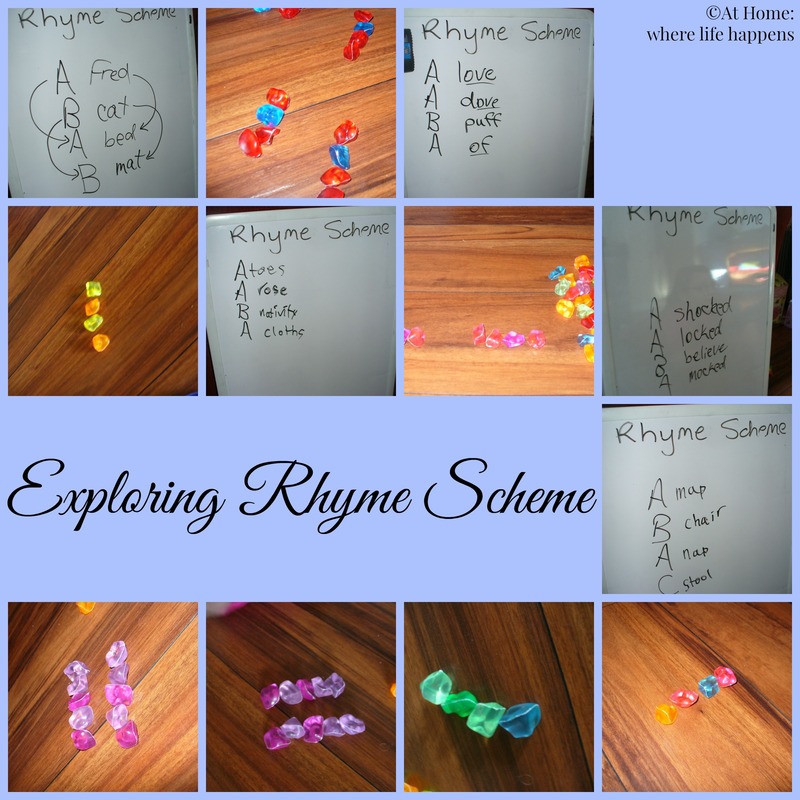 The girls, especially J, used counting crystals and created a pattern based on the rhyme scheme of the poem. We expanded from there creating a bundle of various patterns, gradually increasing the difficulty level. Math: The illustrations allowed for some interesting discussion on symmetry and asymmetry. Poetry/Math: In conjunction with the pattern work in math, the girls created their own rhyme scheme pattern and wrote a poem that fit that rhyme scheme. 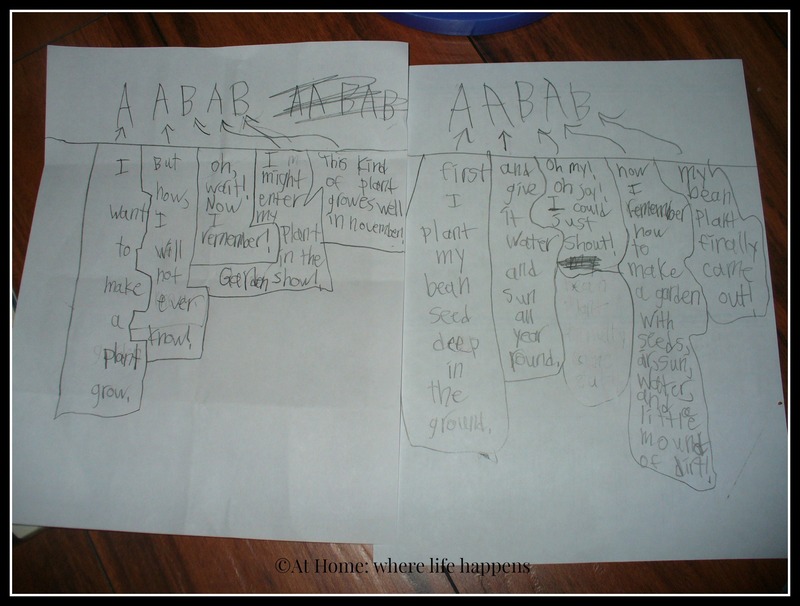 Poetry: We talked about many of the aspects of poetry and poems, including repetition, rhyme, rhyme scheme, and types of poetry. We have a set of posters that my mom used while teaching that cover 12 different styles/types of poetry and give examples of each. We pulled those out and looked at them. The girls used their knowledge of poetry to write a poem about snow. Geography: We discussed the landforms that are more prominent in those areas and contribute to the climate of that part of the nation. Science: There is so much that could be done with this one! We reviewed snowflakes from when we studied snow and snowflakes last year. We discussed the states of matter and where snow fits into all of that. We talked about the water cycle as part of this discussion. 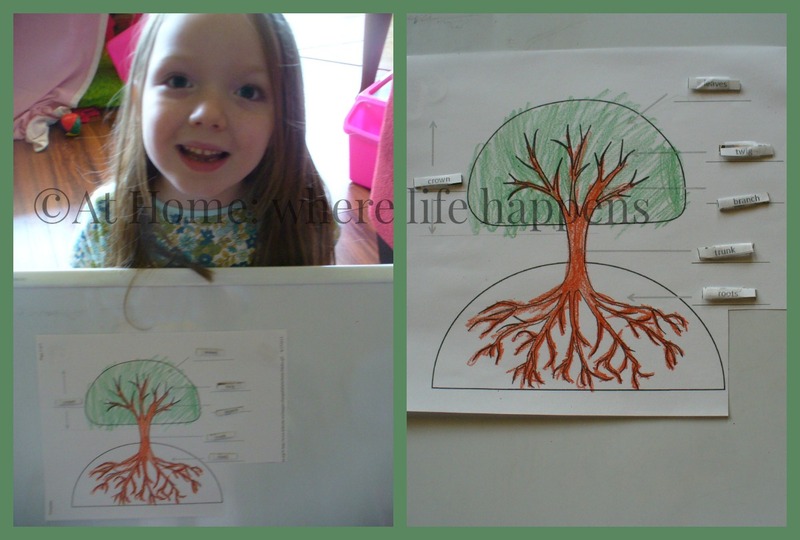 Science: We talked about New England and what the seasons look like there. We used several books from the library that discussed various weather types and climates. Science: We discussed the illustration where the man is leaving food for the animals and why that would be important. One of the things we noticed about the illustrations in the book is that many of them included animal tracks and other tracks of various kinds. We pulled out a poster that has animal tracks on it. 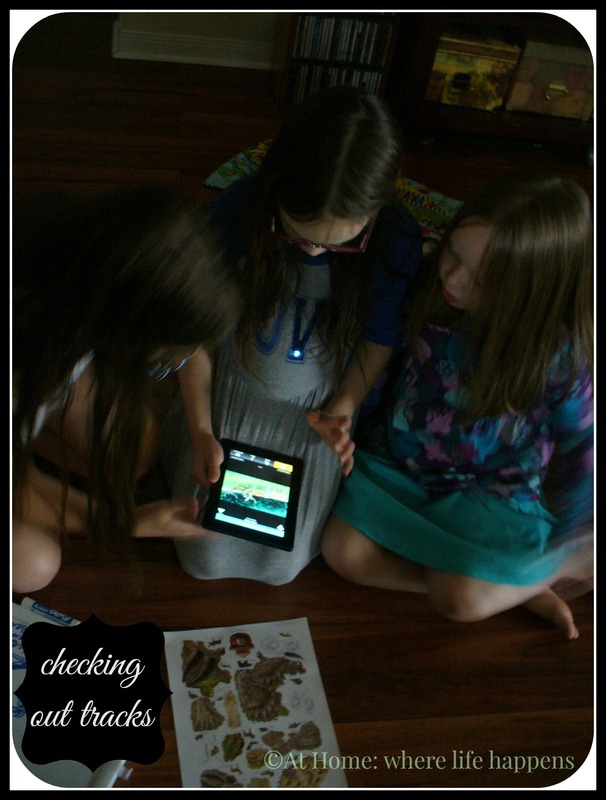 We also pulled up an app for the Kindle that shows the tracks of North American mammals. The girls studied these and discussed how tracks in the snow could be good and bad. They drew some on the dry erase board. 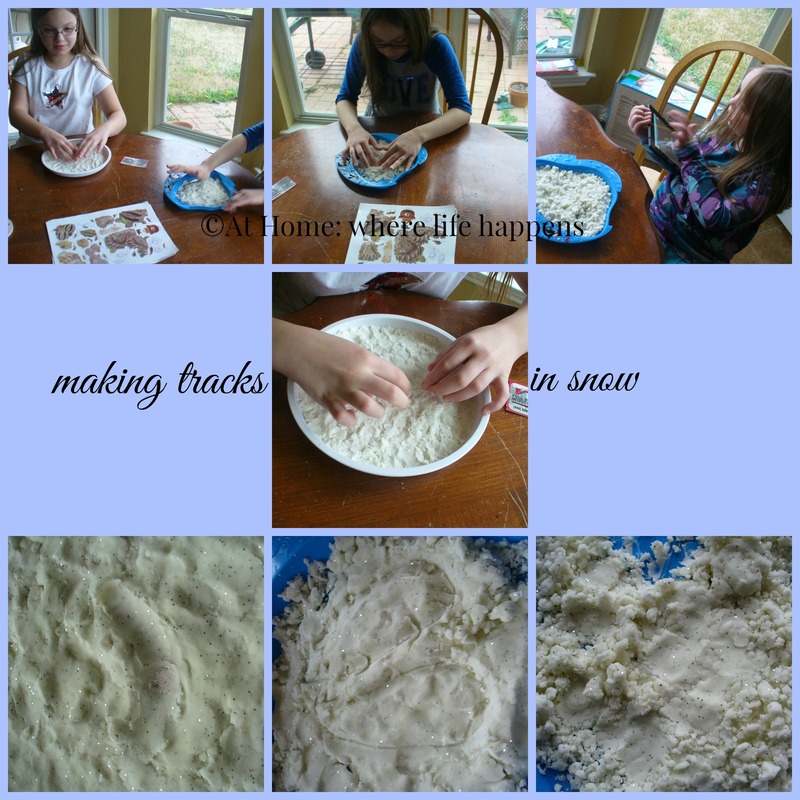 We then pulled out the pretend snow we made last year and the girls made different tracks in the snow. Science: Another thing you could do is animal research about animals that prosper in the snow and cold. 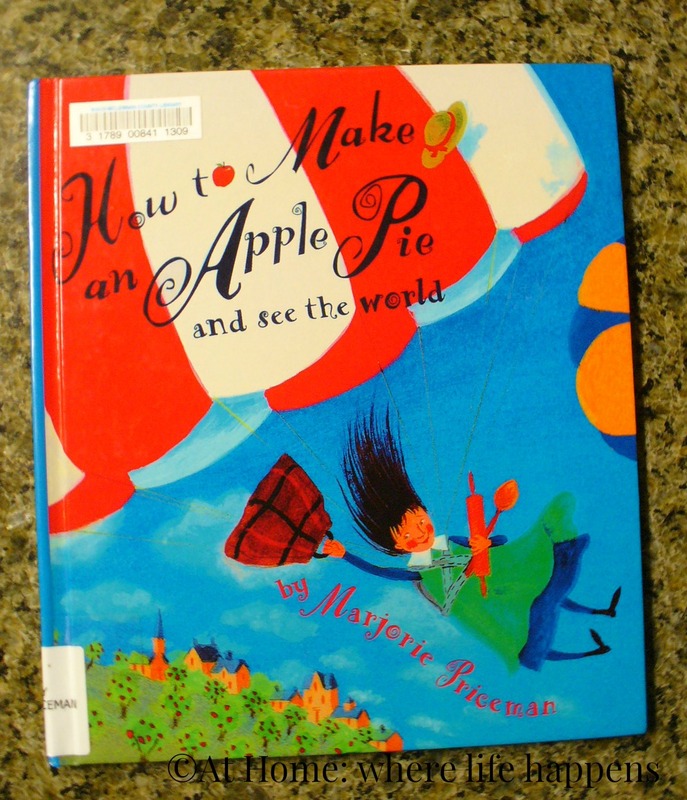 Literature Connections: We pulled Snowflake Bentley from the library and looked at that book again. That was a favorite from last school year. We talked about On The Banks of Plum Creek and how it connects to the Robert Frost poem, as well as other Little House books. Literature Connections: We talked about other poetry books that we have on our shelves or have borrowed from the library. The girls each chose a book of poetry and read it for a while, studying the poems to choose one they liked. They then shared that poem. Art: Again we used a lot out of the FIAR guide. We discussed medium (pen & ink, pencil), hue, value, color, illustrations, viewpoint, and mood. All of these were a pretty easy discussion to have because of the vividness of the illustrations. The girls created a drawing using pencil and then used color to draw attention to the focal point of their drawing. Art: Another art piece that could be created to go along with this would be to choose a favorite illustration in the book and then pick a viewpoint from which to draw it. You could also do this with a snowman, looking down from on top of him, with younger kids that would have difficulty thinking about the viewpoint of something as large as the forest. 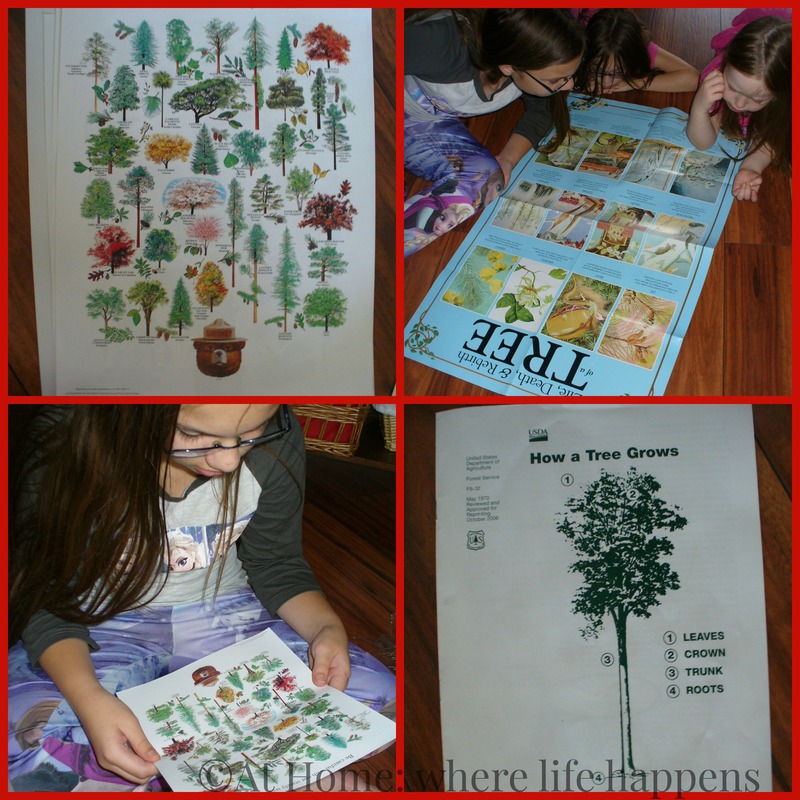 Fun: There are so many options to do further activities with this book! One that I wanted to do but we never got around to because of some of the girls feeling crummy was to make a snowflake sculpture with marshmallows. With other wintery books coming up, I’ll bet we can do that with one of them. Fun: Okay – the kids may not agree with me on the fun part of this but I’m leaving it here anyway. 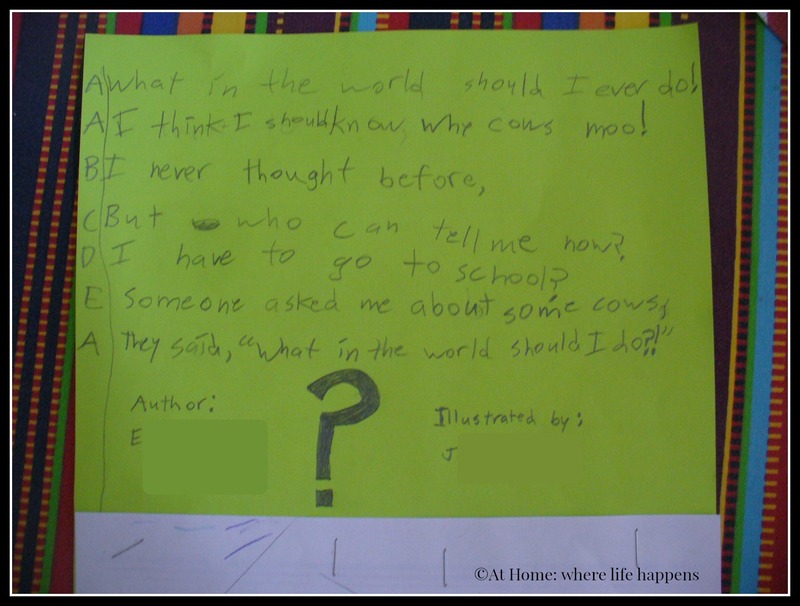 This was an easy poem to memorize and memorization is good skill for children to learn. This is a classic poem and the rhyme scheme makes it fairly easy. The girls memorized this without too much work since we were reading it every day at least once for the lesson. Stopping By Woods On A Snowy Evening was an extremely fun unit. I definitely recommend it. At Home.